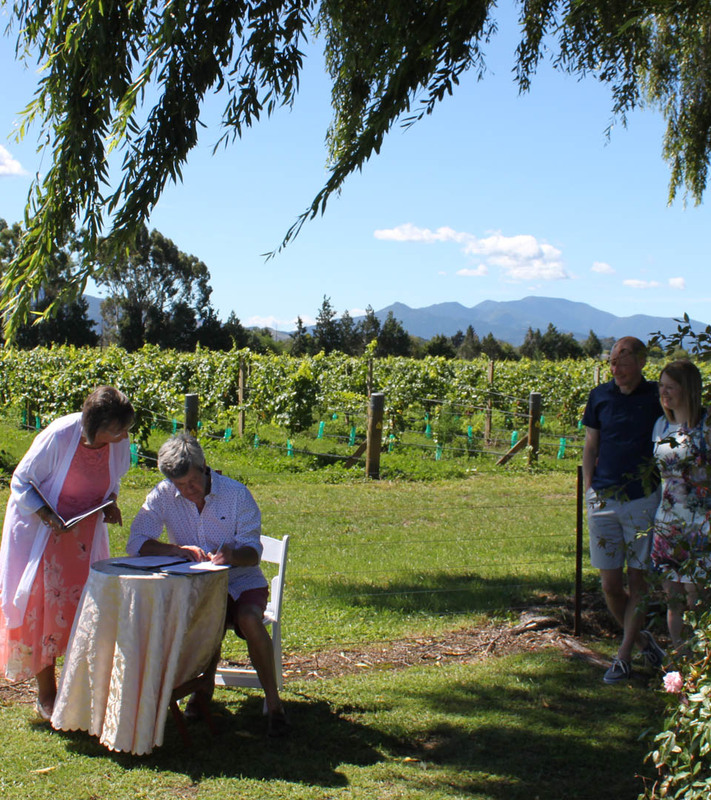 Marriage celebrant Marlborough wedding ceremony. Weddings and ceremonies Marlborough Sounds, Nelson, Kaikoura. 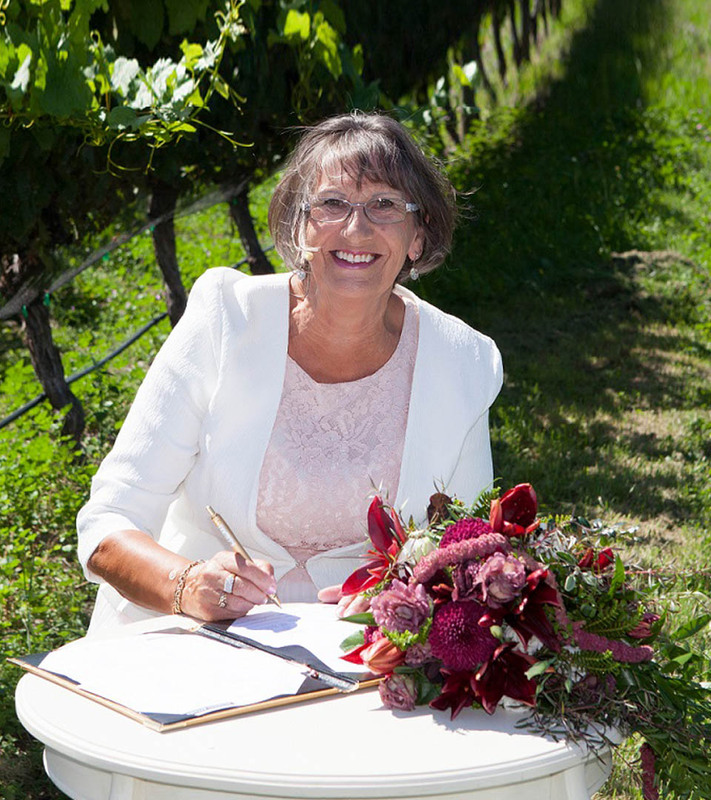 I am an experienced marriage celebrant based in Marlborough, specialising in creating personal and meaningful wedding ceremonies. Creating a ceremony that is unique, sincere and tailored to your wishes. I can guide and assist you through every step in planning your wedding day. Registered marriage celebrant, member of Celebrants Association of NZ (CANZ) since 2007. 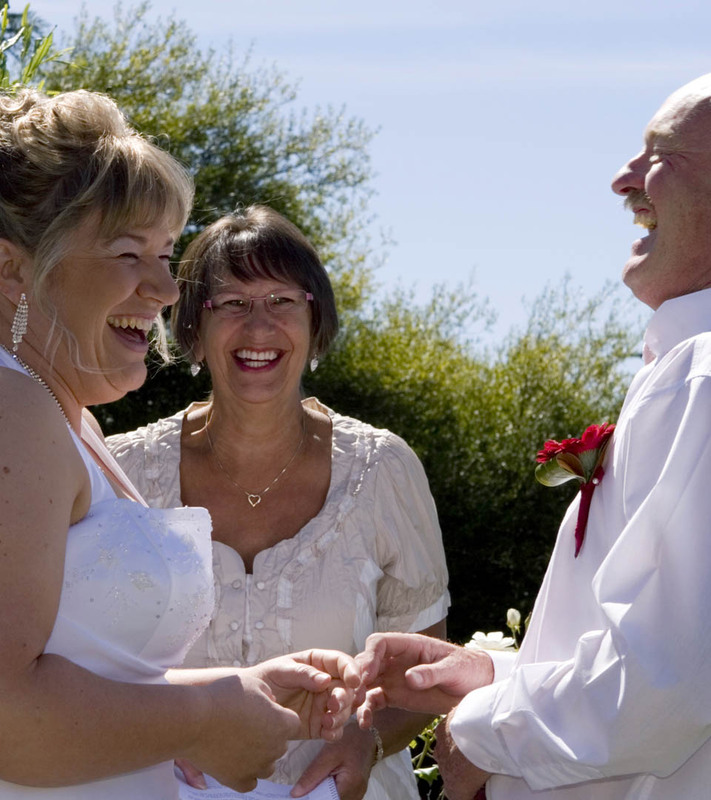 Carol married many couples in Marlborough, Marlborough Sounds, Nelson and Kaikoura. If you live overseas and are planning a wedding in New Zealand, there is much I can do to assist you by email. To organise a wedding takes time and commitment. I will spend time talking with both of you and go through your complete wedding day to understand what kind of wedding ceremony truly reflects your personalities and tastes. 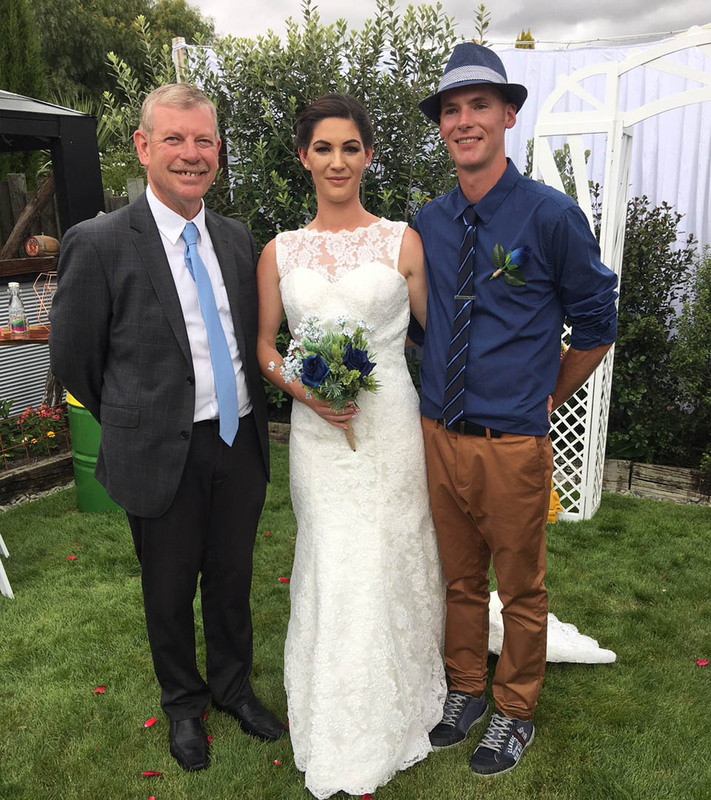 Phil Taylor is also a registered marriage celebrant which makes us the only Marlborough celebrant couple. We work together to give you the most memorable ceremony in a friendly relaxed way, and as husband and wife we love what we do. As part of our service we a professional UHF wireless sound system with 3 channels, two for voice and one for music - works anywhere; on the beach, in the vineyard, in the family grounds. Plug in your phone with your favourite music.